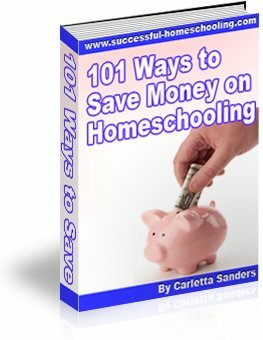 Would you like to use homeschool textbooks to educate your children at home? Homeschooling textbooks have somewhat of a negative reputation for being boring, tedious and bringing school into the home. However, I've been using traditional workbooks for years, and I know many homeschoolers who enjoy using them in their homes. Traditional textbook programs are easy to use. They generally come with instructor's manuals that eliminate planning on the part of the parent. Instead of spending hours creating lessons and schedules, parents who use these programs can simply open up the teacher's guide and teach. Textbooks offer thorough, systematic instruction. Information is generally presented incrementally, and each lesson builds on the previous one. Homeschoolers who are taught with these programs generally perform well on standardized tests and remain on par with their peers in public school. Homeschooling textbooks promote efficient use of time by presenting information in a straightforward manner, without the use of elaborate projects and activities. Parents are generally not required to purchase expensive or hard to find materials, nor spend large amounts of time in preparation or cleanup. Some students enjoy the textbook method of homeschooling. These students have fun learning new information, and showing what they've learned via workbooks, tests and reports. Children may also appreciate the consistency that comes with using textbooks and knowing what to expect from each lesson. They become accustomed to learning in a traditional manner, and do not come to depend on being entertained. Textbooks are familiar to those of us who went to traditional schools. They can be a great start for new homeschoolers who lack the confidence to experiment with new homeschool methods or design programs of their own. Although use of homeschool textbooks isn't right for all families, these materials are a good fit for many homeschoolers. You can read more about the advantages and disadvantages of homeschooling with textbooks here. Follow this link to read homeschool curriculum reviews written by other homeschoolers.